I missed writing! I have more than 10 pending articles since July! I hate when i’m Not productive! Especially on my blog! With my kids, I am barely finding time to write but September is back, school is back and I am super back to my blog and to sharing some new interesting articles with you guys! Today’s read is about some baby steps and switches I have made in my kitchen to be able to lead with my children a healthier lifestyle and eating habits. Let me start by telling you that the changes are minor. I am not someone who buys everything organic, I do not follow a plant based diet, I allow myself and my kids unhealthy stuff from time to time. I can say that I’m really good when it comes to balance. You will see my kids eating the healthiest meals most of the times and covered with unhealthy chocolate and snacks another time. You will see us do the most beautiful activities one weekend and then spending it at home the next, super clean and super filthy... My main change happened in my own kitchen: I do not allow unhealthy snacks and especially drinks in my house because I know that we will be tempted to have them when they are easy to be reached. Plus I want my children to know that those things could be eaten or done only outside and only on occasions. But this is me trying my best! We do break the rule sometimes though! And that doesn’t mean we do not have snacks! Sugary ones! We do! And A lot! But we replaced them with healthier version. Yes the same sweet chocolate cake with chocolate chips! But in a healthier and more nutritious version with same same but different ingredients. 1) Tomato paste, purée or canned diced tomatoes : I use this alot in my recipes, especially the Lebanese dishes. I am currently using the Adonis valley ones that could be found on mint basil. Why? Most of the commercial pastes have colorants (instead of real tomatoes), preservatives and lots of salt. They barely have tomatoes in fact so our kids and us, are not benefiting from their nutrients. 3) Salt: Replace table salt with Himalayan crystal salt. Why? It’s very simple: Himalayan salt is 100% natural and contains more minerals than the table salt that manufacturers chemically process and add some bleach to it! It also might contain some added chemicals like ammonia and aluminum. 5) Replace rice with brown rice. Why? It’s also simple, the difference between brown rice and white rice is that brown rice contains all parts of the grain including the fibrous bran, the nutritious germ and the carb-rich endosperm. On the other hand, white rice has had the bran and germ removed, which are the most nutritious parts of the grain. So basically, white rice is an “empty calorie” grain but brown rice has more fiber and antioxidants, as well as a lot more important vitamins and minerals. For those who are looking to lose weight, the fiber in the brown rice will make you feel full with less quantity and for longer. PS: A perfect cereal meal for your baby: grind brown rice until it has a powder texture and cook it with water (you can also add some bone broth or vegetable stock) exactly like you cook your rice. 7) Replace your pasta with buckwheat or quinoa pasta because buckwheat and quinoa are full of nutrients unlike white pastas that are also “empty calories”. For example, quinoa flour (from which quinoa pasta is made) is rich in iron and magnesium. Buckwheat are ideal for those who are trying to lose weight, they have 50% less the amount of calories than the ones found in white pastas, buckwheat flour also contains dietary fibers and magnesium. Ok now that we’re done with the basics, do you think there’s anything i could add? Please let me know. Healthy and natural chocolate spread: Cocoa Hazelnut Butter and peanut butter instead of store bought spread, Yummy cereals like eshmoon chocolate or honey rice balls in stead of the ones you find in stores that are full of sugar, raw cacao powder instead of cocoa! Yup there’s a huge difference between cocoa and cacao! 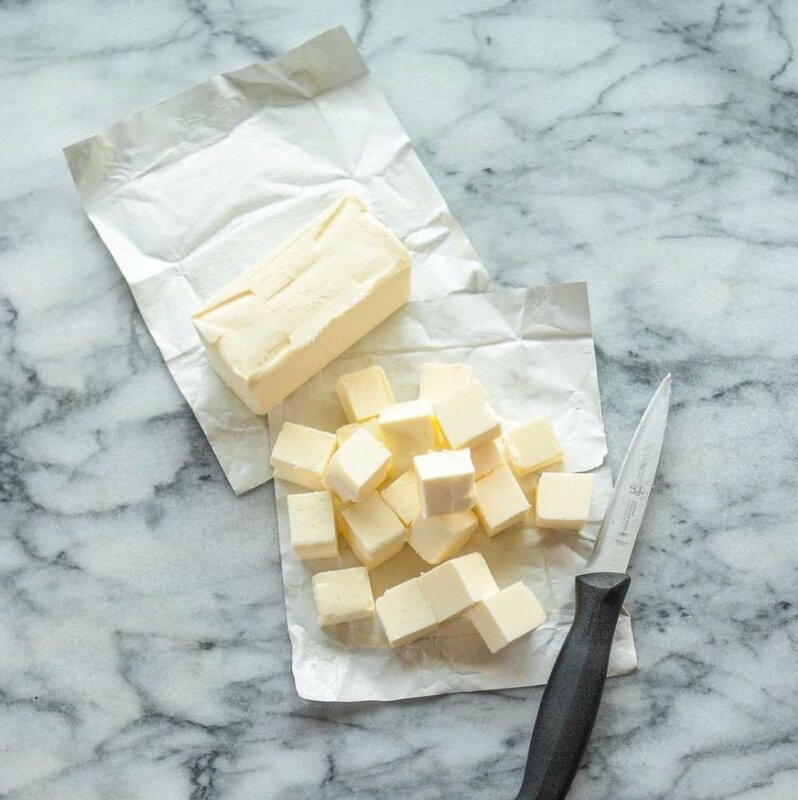 Grass fed butter is healthier! It’s less processed and comes from an animal who was grass fed. So those are mainly the things I have replaced in my kitchen that are essential for a healthier lifestyle. They are all available at Mint basil market And you? What will you replace?